As human beings we tend to search for happiness in many ways, it’s in our nature to do so. We want our outside circumstances to control how we feel inside. We think we could be happy and more serene if we only had a better house, a better job, or more money. These material possessions may help you feel like you are happy, but they only last for a short period of time until you tire of them. Mere objects or who has the best toys will not help in achieving lasting peace, serenity, or happiness. It is an inside job that will take time to develop. If you really want to be more peaceful and happy this book can help. 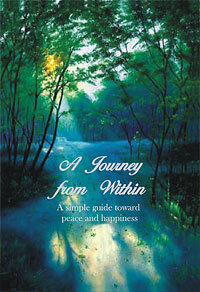 It is a simple guide that will give you the tools to attain a life full of joy.